Courtesy of Outdoor VoicesTyler Haney is the founder and CEO of Outdoor Voices. Outdoor Voices is an athletic wear company founded by 29-year-old entrepreneur Tyler Haney. The brand considers itself “technical apparel for recreation,” meaning the clothing is made for sweating in but can be suitable for any activity. “We are really building the rules for our own game here. I have no interest in building the next Nike – we are building Outdoor Voices,” Haney said in a recent interview with Business Insider. From the start, Tyler Haney’s strategy for Outdoor Voices was simple: to create the world’s No. 1 athletics brand, eventually overtaking more established brands like Lululemon or Under Armour. This new brand, however, would be targeted at everyday exercise, from walking the dog, to jogging, to rock climbing. In just under five years, the 29-year-old Colorado native has built an athletics brand that now boasts an 80-person team and $US56.4 million in venture funding. It counts Google Ventures, which is now GV, as one of its key investors. The brand’s clothing line is meant to be for women – and, more recently, men – to sweat in. The collection includes leggings, sports bras, t-shirts, and even exercise dresses for women. Everything in the collection costs between $US35 and $US135. Its best-selling leggings cost $US95, for example. The scaled-down selection for men includes $US65 shorts and $US40 t-shirts. The clothing is fashionable enough to be considered athleisure, but Haney insists that it’s separate from that trend. “We are completely activewear. Everything we make is meant to be sweat in. It is important to me that we stay true to technical, meant-to-sweat-in products, not fashion,” the founder and CEO said in a recent interview with Business Insider. This makes sense for Haney, who says she grew up on the running track and at one point considered pursuing an athletic career. She ultimately decided she wanted to do something more creative, leaving her family home in Colorado to attend a business program at Parsons School of Art and Design in New York City. It was here that she came up with the idea for Outdoor Voices. “I remember going for a 1.5-mile jog and noticed that there is real dissonance in wearing a brightly coloured outfit with muscle mapping all over it, something that you would see on an Olympic athlete, when I was going for a 10-minute-a-mile jog,” she said. From then on, she set her mind to creating sportswear that was comfortable enough to sweat in but could be worn for a range of recreational activities. 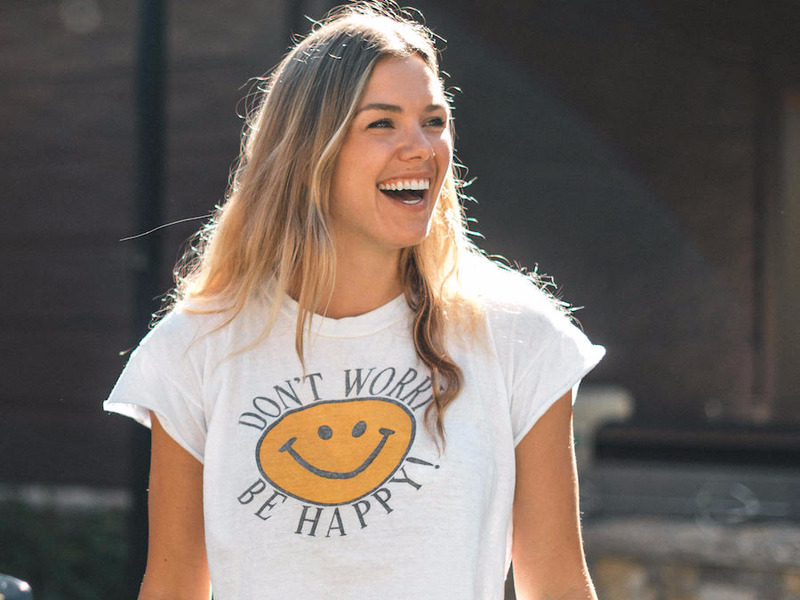 While Haney might have had a different way of looking at the athletic market, Outdoor Voices certainly wasn’t the first company to create athletic wear. She said that as a female entrepreneur, convincing a group of predominantly male investors that it needed to be funded was one of the biggest hurdles she had to overcome. Nike and Under Armour have come under increased scrutiny since Haney had that first meeting with investors. Under Armour has been accused of being too male-focused in its product selection and marketing, and earlier this year, several key executives left Nike amid claims of sexual misconduct. The real turning point in the early days came when she decided to ship products to the investors’ wives, who gave positive feedback and convinced their husbands to invest. “That was really the key to early efforts,” she said. 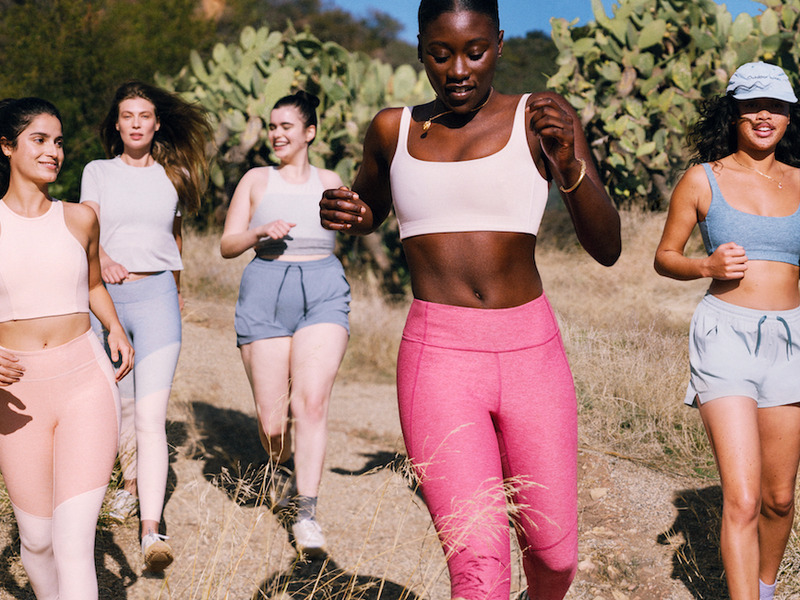 Outdoor Voices now has six stores – eight more are on the way – and is increasingly focusing on creating more technical products. It launched a new collection of running-specific clothing in April, and six more activity-based clothing lines will follow. While Haney claims the quality of the product is still the most important aspect of the brand, it’s the community around it, as well as its razor-sharp branding, that have fuelled its success. Haney says this is what has helped the brand avoid leaning on discounting to move product. Courtesy of Outdoor VoicesLeggings cost between $US65 and $US95. “Sales are scary – we don’t need to do it. People will pay for the product, and if you have a good product, you don’t need sales,” she said. Outdoor Voices rolls out products in small batches to prevent having any inventory left over, which would be vulnerable to discounting. If it comes to the point where any inventory is left over, these items will be given away to brand ambassadors, she said. These ambassadors are unpaid advocates for the brand that are involved in a “myriad of ways,” she said, adding that they are working on a formal application process for the program at the moment. These ambassadors are essentially free marketing for Haney, who only needs to repost images of them wearing products to drive the feeling of community. The plan now is as it always has been: to build the No. 1 digital recreation brand and in doing so, add more stores and become more commercial. This is something that the chairman of the board and former J.Crew CEO, Mickey Drexler, is pushing her to do. The sky’s the limit for Haney. It’s an attitude she’s learned from her mentor, Elon Musk, whom she insists that she has not dated despite rumours in the press. They were introduced by a mutual friend at SXSW. “He really pushes the team to think bigger, bigger, bigger,” she said, referring to Musk’s work at Tesla and SpaceX.